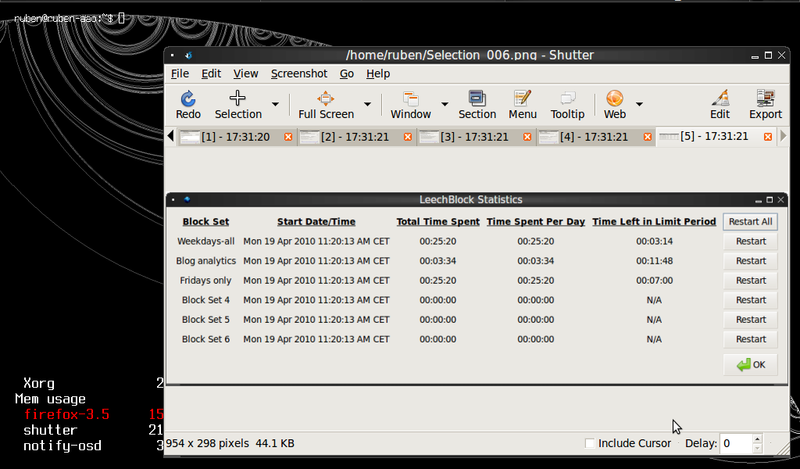 Shutter was the answer, an open source screenshot grabber that fills my needs, and probably yours too. Installing is relatively simple, if you have an updated version of Ubuntu. If not, you'll have to manually add the launchpad repositories. All instructions are on Shutter's homepage. Once you have it running, you can take region specific screenshots, do some adjustments to them before you are ready to use your shot. It is simpler than opening The GIMP and editing. It was heaven when you write tutorials with screenshots. When you tap the cross for selection, the shutter screen automatically disappears and you can select the location you want to shot. As a bonus, I found Screenie, which is a quick 2.5D compositor à la Apple KeyNote. I have used it for my post about porting pMars to the Ben NanoNote. 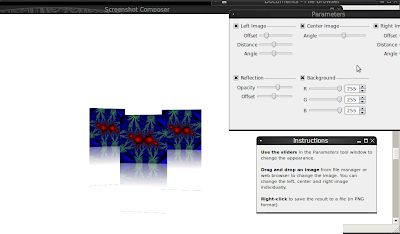 It is easy to use, drag and drop and some sliders. Afterwards by right-clicking you can then export the image to PNG. You can see an example below.